Good condition Omega Seamaster stainless steel watch. 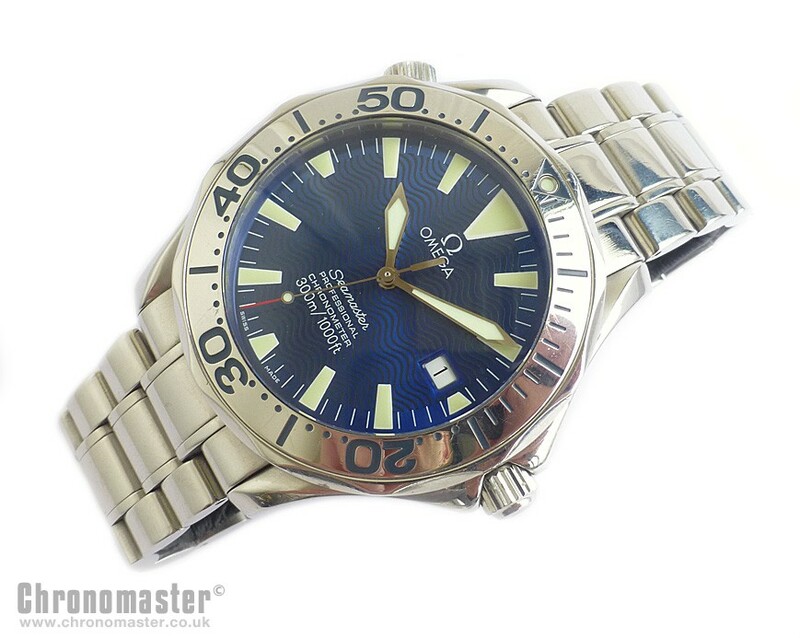 This is the model reference 22 5580 00 and is the rarely seen polished case model with polished steel bracelet, polished bezel with blue insets and electric blue dial making for a stunning looking watch. 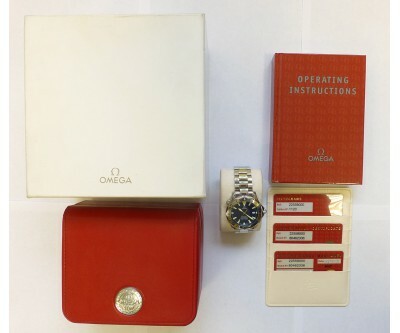 It comes with all box and papers and was originally purchased from authorised Omega dealers Berry’s in Leeds in 2003. 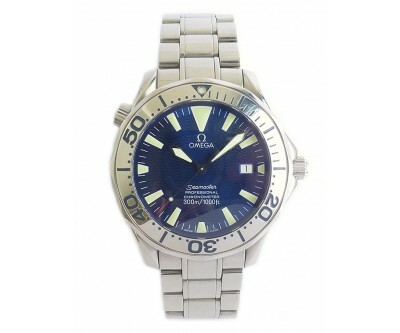 The sister of this watch of course it the blue dial James Bond version. This watch is an officially certified Swiss Chronometer. 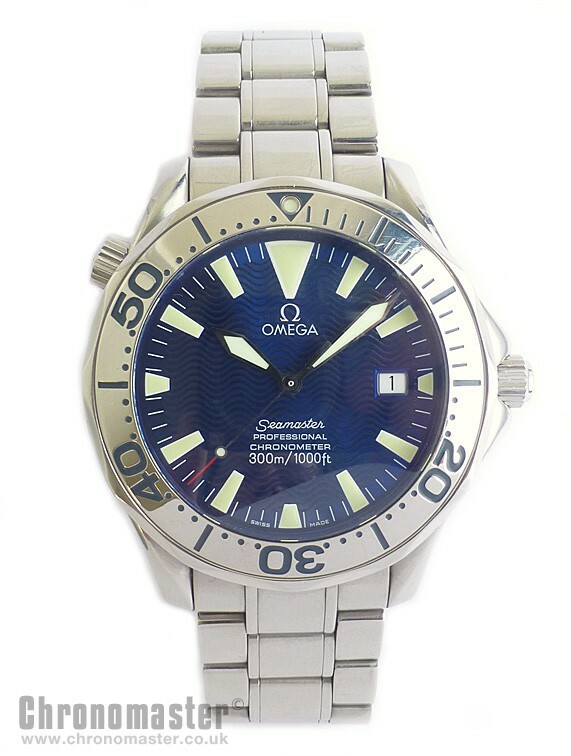 The Omega Seamaster Professional Divers watch is rated to 300 metres and can be of course used for professional purposes. 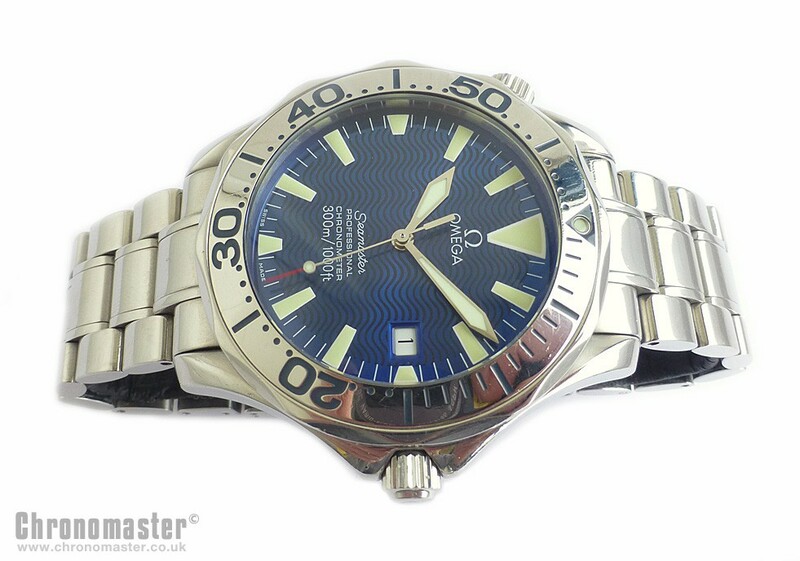 It has very attractive polished black wave pattern dial and rotating bezel, where the bezel is the same colour as the rest of the case and bracelet. It is a large and substantial build, with sturdy uni directional rotating bezel. 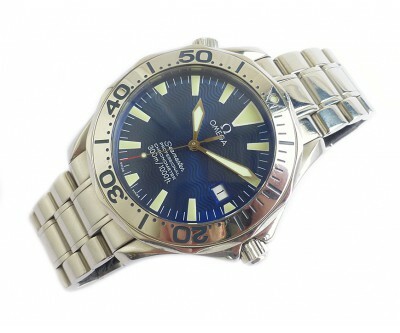 Being constructed of stainless steel, it is a heavy and substantial and strong watch. 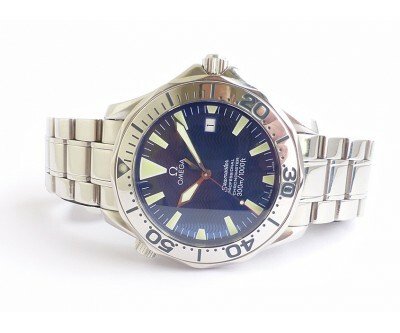 Super strong and scratch resistant sapphire crystal, helium escape valve for high diving pressures, screw down crown for water resistance, date function and solid stainless steel case and bracelet, with divers wetsuit extension. 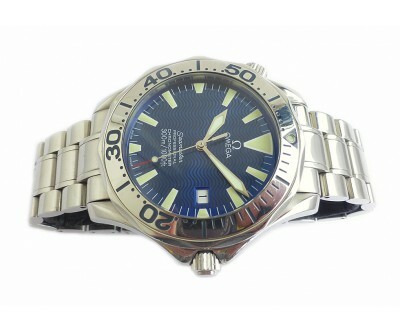 This is an outstanding watch in excellent condition with some minor marks to the bracelet from normal wear. 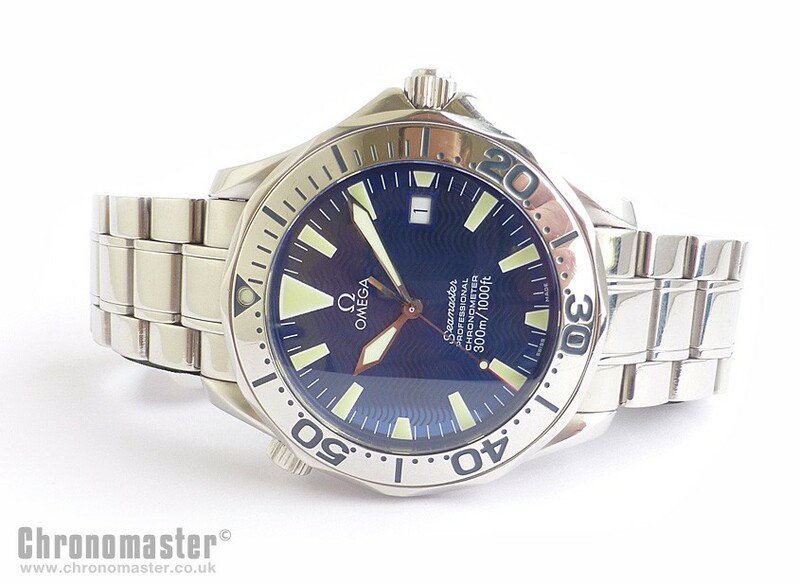 Dimensions are: width is 41 mm excluding crown, 45.5 mm including crown and 47 mm lug to lug and thickness is 12 mm.